The practice runs a computerised repeat prescribing service. If you are on regular medication you will be given a computer slip with the drugs you take printed on it. When you need more medication, tick against the items you require and either post the slip to us or place it in the box outside the dispensary. You can also email: IESCCG.Bildestonhealthcentre-dispensary@nhs.net or fax: 01449 740903. We do not take requests for repeat prescriptions over the telephone as mistakes can all too easily happen. Of course if you do have problems we are always happy to help if we can. It takes two working days (48 hours) to process repeat prescriptions so do take care not to run out of medication. For those who have difficulty getting to the surgery we have various ways to get your medication to a collection point near to you. Please ask the dispenser who will advise you. We now offer a FREE prescription delivery service for our elderly and housebound patients. For more information please contact a member of our dispensary team. 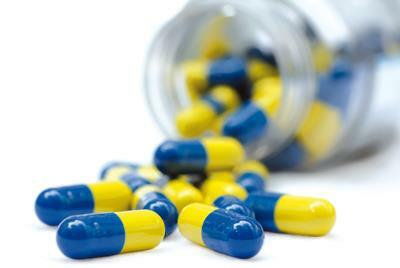 Private prescriptions are medication which your PRIVATE Doctor has recommended for you on a private prescription. A private prescription is not written on an official NHS prescription and so is not paid for by the NHS. The cost of a private prescription is met wholly by the patient and is dictated by the cost of the medicine plus the pharmacists charge for supplying it. A prescription is a legal document for which the doctor, who has issued and signed it, is responsible for. Therefore, a NHS doctor cannot convert a private prescription to an NHS prescription except in exceptional circumstances. A doctor you see privately can’t issue an NHS prescription. If you wish to discuss this with your doctor please make an appointment to do so. For more information-Follow link below.